Utilising a wealth of industry experience, gained within a wide range of manufacturing environments including heavy industrial, offshore & construction, Hawk Lifting Engineering can offer a bespoke design and manufacturing service within the lifting equipment & handling sectors, covering, but not limited to lifting beams & frames, lifting grabs, swing jib cranes, fixed runway beams & gantries, mobile gantries, hooks, shackles, OET cranes & supporting structures and bespoke handling aids in addition to “off the shelf” items available through our parent company Hawk Lifting Ltd. If you have a requirement for any of the products we manufacture, we would love to hear from you to discuss your requirements and specification further. Alternatively, please fill in our enquiry form with some basic information and we will get back to you shortly to discuss things further. Whatever the application, using traditional design coupled with state of the art three-dimensional solid modelling & computer aided techniques, Hawk Lifting Engineering will take an initial concept, through design & manufacturing stages to produce a workable solution to meet the requirements of a multi-disciplined client base. 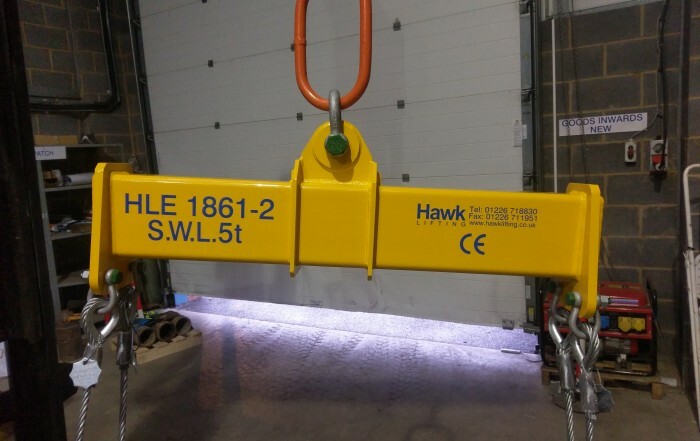 Working within the requirements of current European & UK legislation, Hawk Lifting offer a bespoke design service and/or full turn-key design & manufacture service, dependent upon the requirements of an individual client. 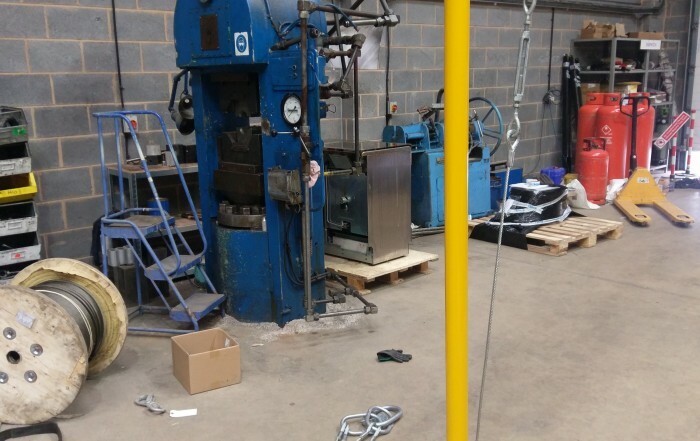 All bespoke lifting beams and frames, where applicable, carry CE certification in accordance with 2006-42-EC & can additionally be manufactured in accordance with 3rd party design standards, in addition to our own ISO9001:2008 procedures. Manufactured from quality certified materials of known origin, all items are fabricated in accordance with 3rd party verified weld procedures by suitably qualified ‘coded’ individual(s). Bespoke items undergo static proof-load testing, using in-house calibrated testing equipment, or alternatively where physical constraints dictate, external calibrated testing facilities, in addition to various Non-Destructive Testing procedures as dictated on a case by case basis. Working with external agencies, Hawk Lifting Engineering offer a fully independent 3rd party service to satisfy the demands of an ever increasing requirement from clients for pre-manufacture product verification, particularly for national & international clients involved in offshore industries. 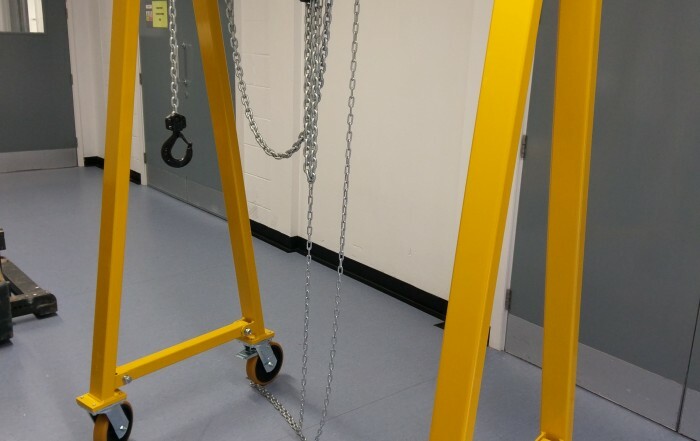 In addition, Hawk Lifting Engineering offer access to a wide range of finishing services, including powder coating for aesthetic requirements to more durable galvanising & wet painted finishes to meet the requirements of products sited externally and/or offshore. National & international delivery services are offered on all products in addition to options for collection by 3rd party courier services and/or client by arrangement.